Over 20,000 professionals registered for today’s virtual Sales Acceleration Summit, hosted by insidesales.com. Dave Elkington, the company’s CEO and founder, opened the conference by announcing that it actually broke a world record in online event registration. But what did attendees really gather to learn about, anyway? In other words, what is sales acceleration? Traditionally, a sales manager would rely heavily on pipeline reports, as well as anecdotal information from sales reps. The systems and technologies in this category offer sales leaders access to, and the ability to process, a wealth of data beyond that. 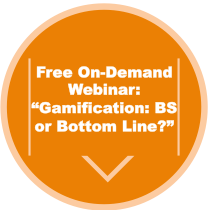 Things like recruiting, training, sales gamification and compensation fall into this category. It’s all about getting the most out of sales teams. This category is pretty straightforward — it offers sales leaders the ability to manage, or work with, all of the data they have access to today. Tools in this category — the newest of the five — use data to predict what will happen and then alter sales processes accordingly for success. So, what can sales acceleration do? Insidesales.com’s findings also support the idea that more spend on sales acceleration technology — specifically on intelligence and communication tools — leads to faster deals. According to the same research, companies with approximately 20%+ higher close rates spend 150% more on sales acceleration technologies (specifically on communication, intelligence, voice and data visualization tools). “Companies that spend almost 400% more on these kinds of technologies have faster growth rates, drive more revenue and have higher and bigger market caps,” Dave explained. The keynote also revealed that companies in the United States are currently spending $12.8 billion on sales acceleration technology. To put that into prospective, that’s about 4x the amount of spend on marketing automation software right now. The growth that the market has already experienced has led to some significant industry developments. For one, Dave suggests it directly correlates to the rise of inside sales. But that’s another story. Or another blog post, rather. Stay tuned to LevelEleven’s Sales Game Blog for more on that. In the meantime, what’s your take on sales acceleration? We're all starting to hear more about it, but what does "sales acceleration" actually mean?